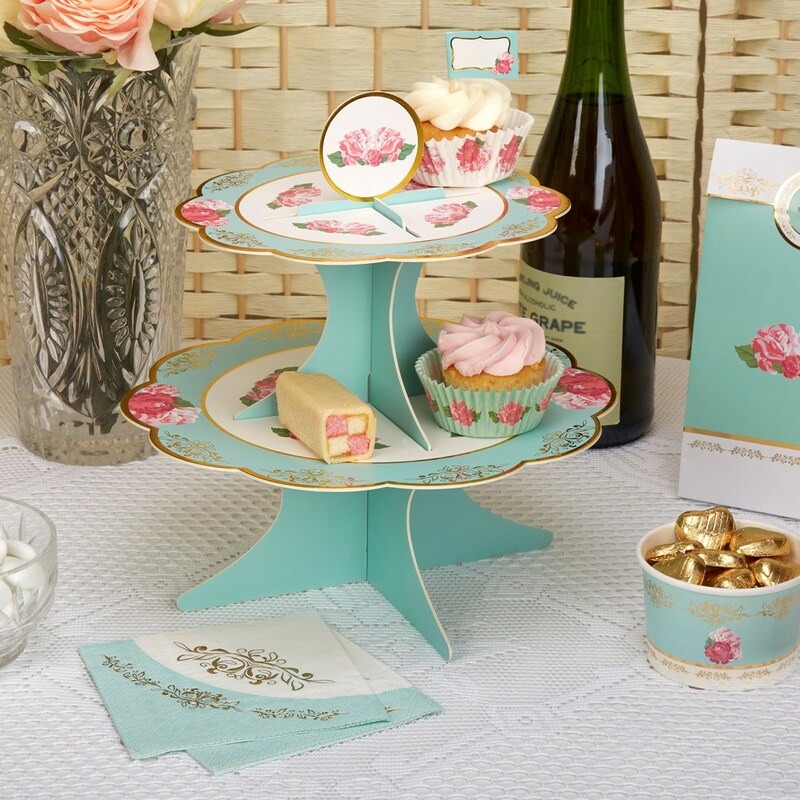 Display your cakes and sandwiches on this elegant stand from our Eternal Rose collection. Infused with classic vintage style, the two-tier stand features scalloped edges and a rose topper, with plenty of room on both tiers for a variety of sweet and savoury delicacies. Utilising an elegant colour scheme of turquoise, white and pink, the stand is finished with gold edging to add a little extra sparkle to your table. Each pack contains 1 Cake Stand.